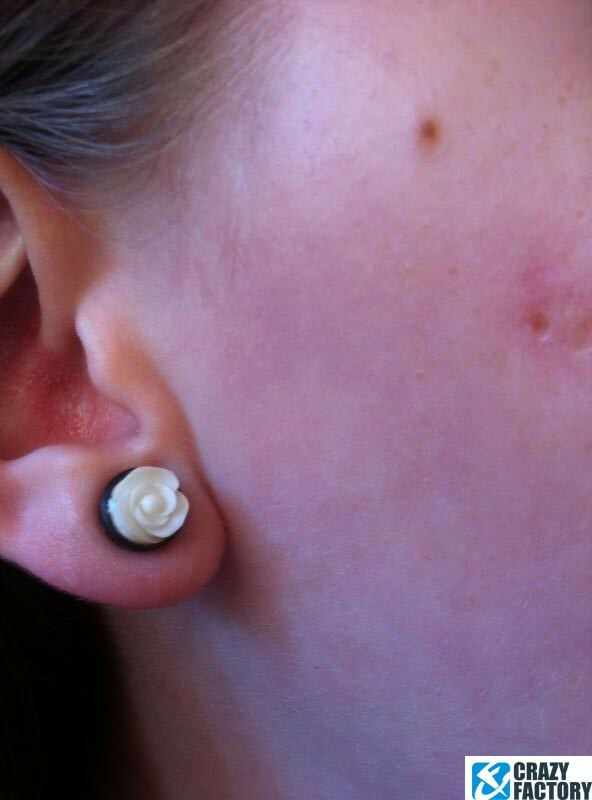 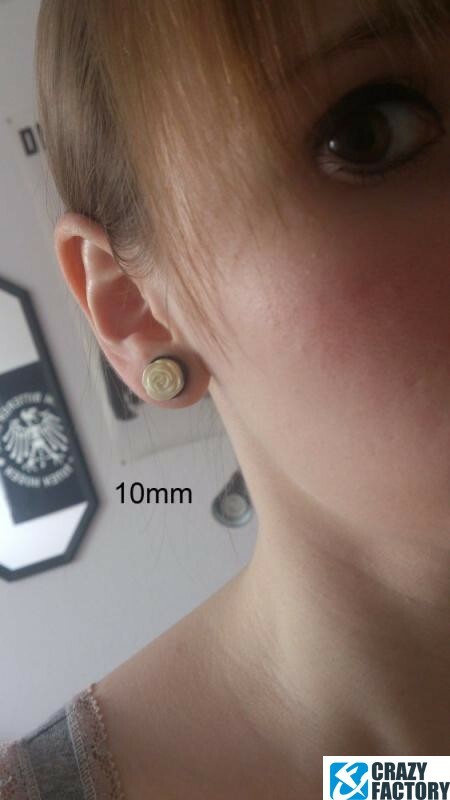 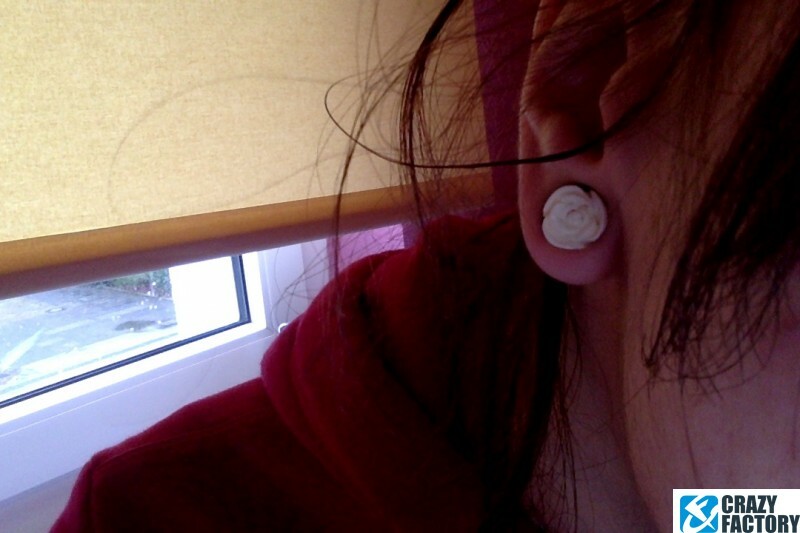 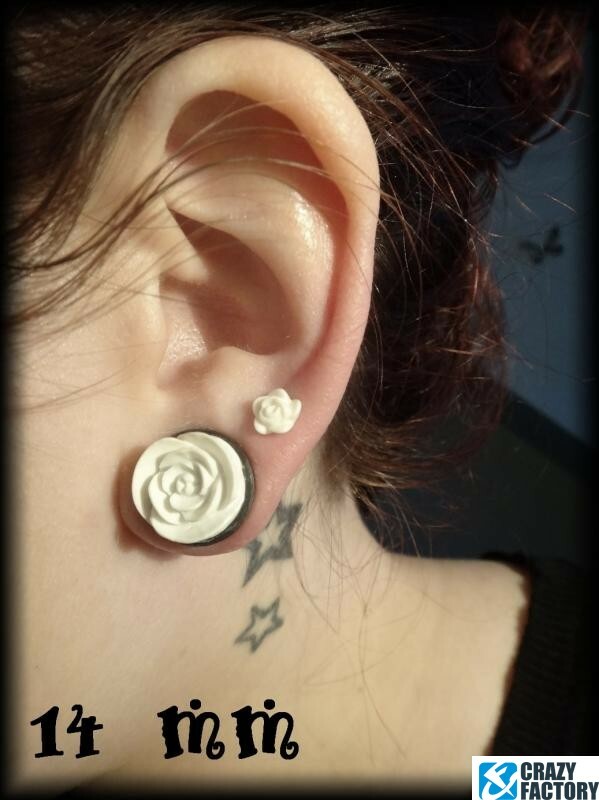 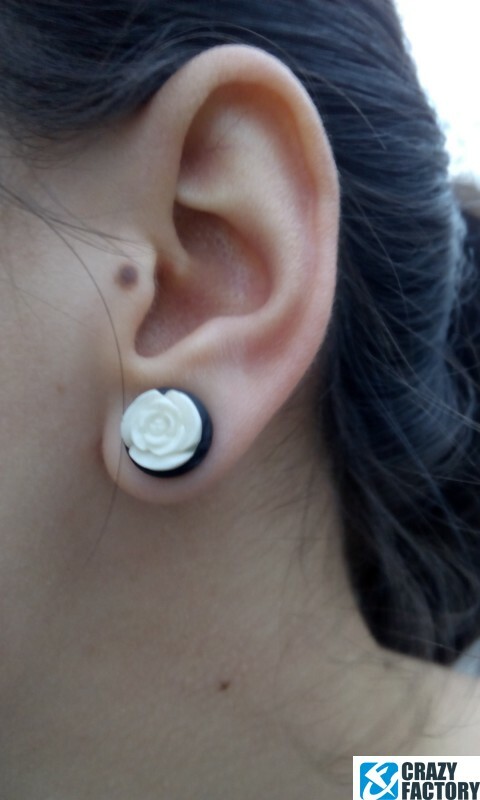 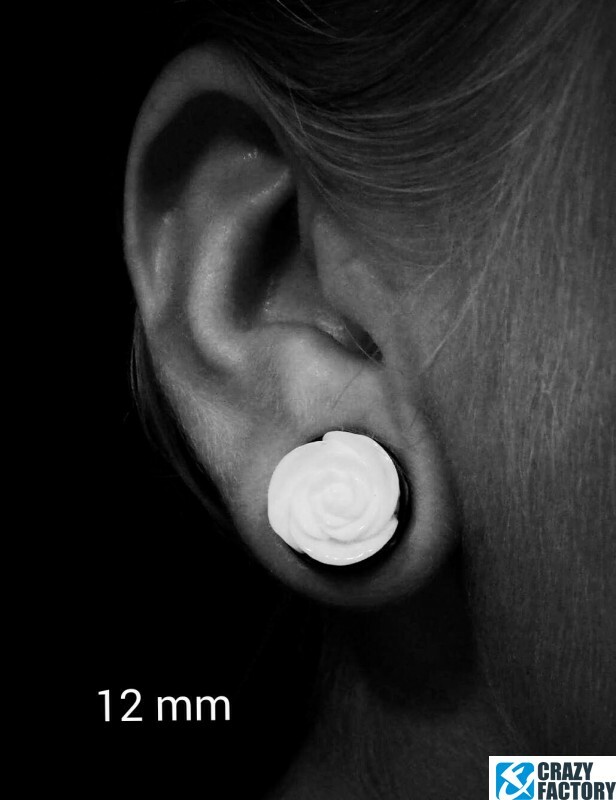 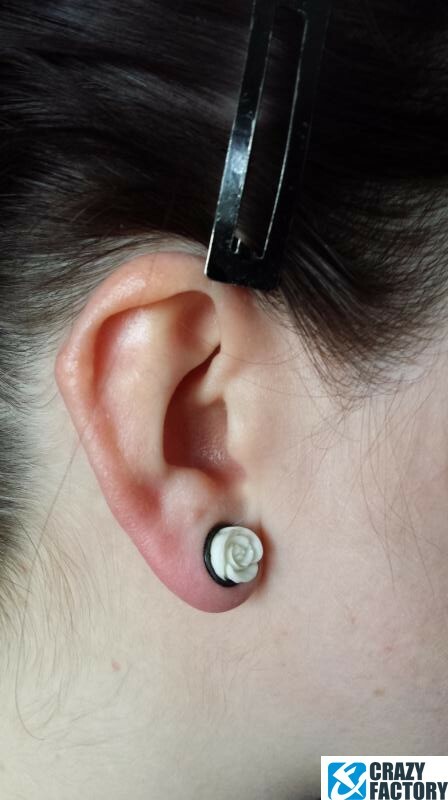 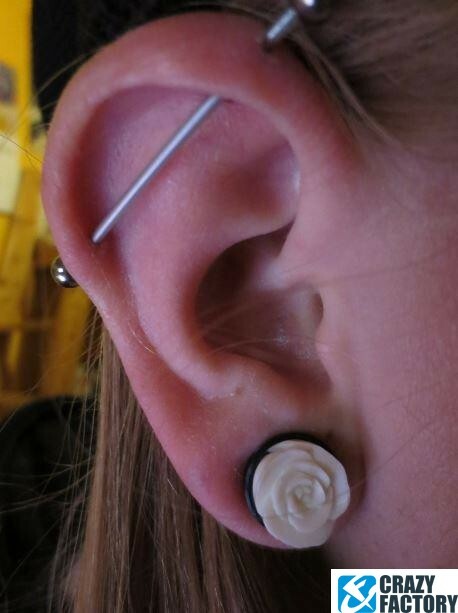 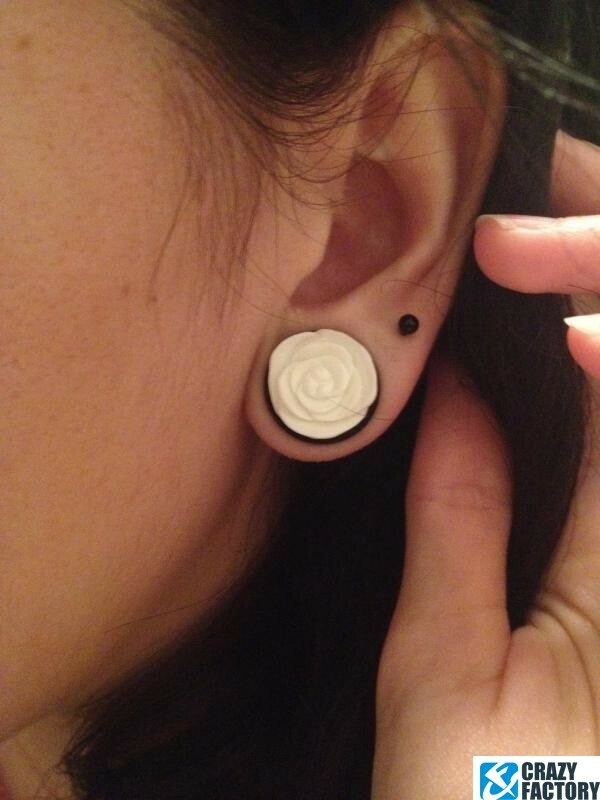 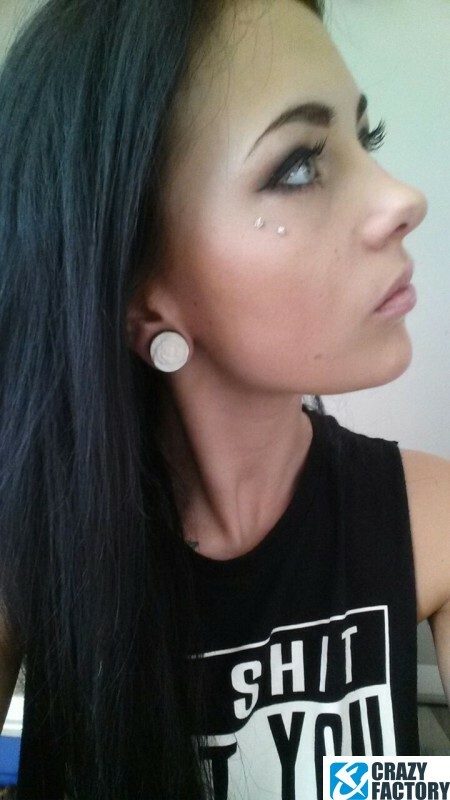 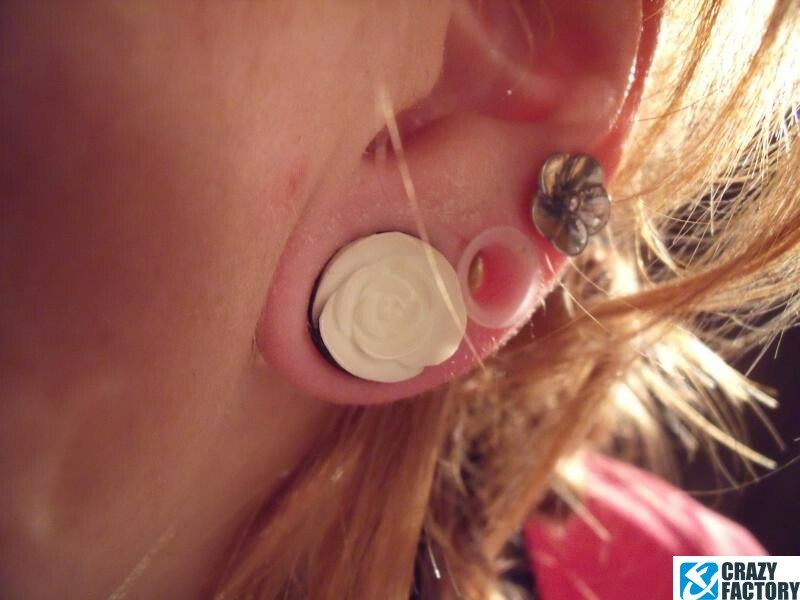 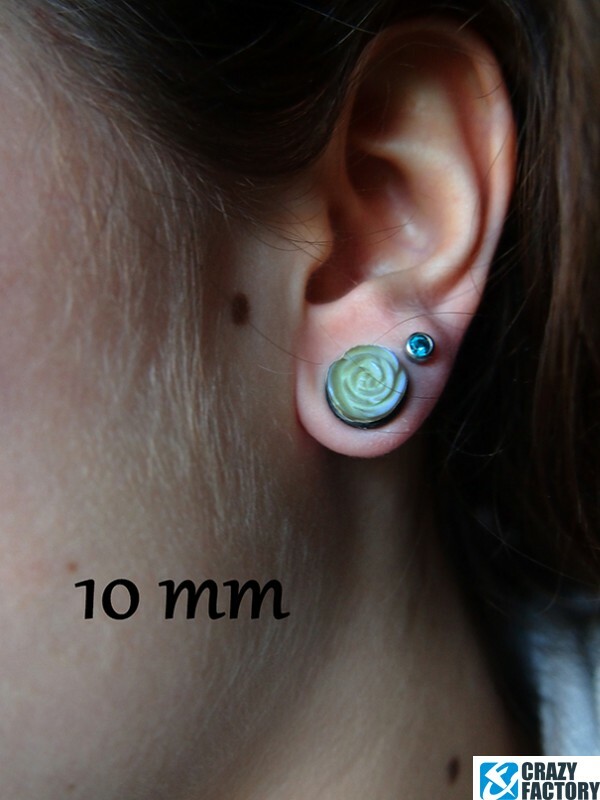 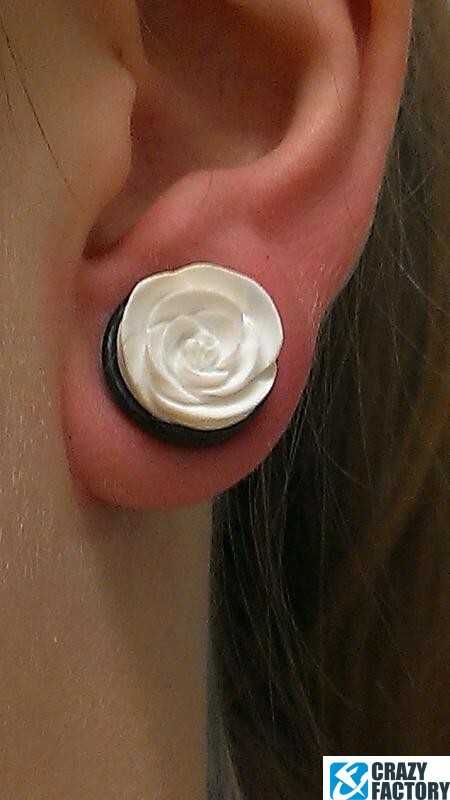 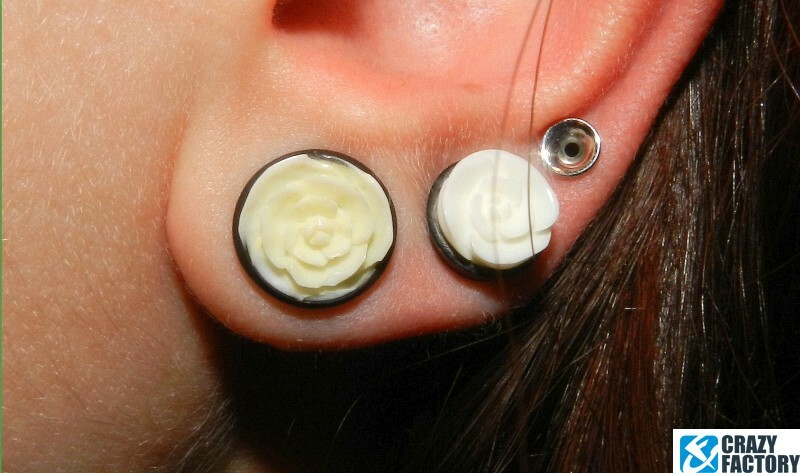 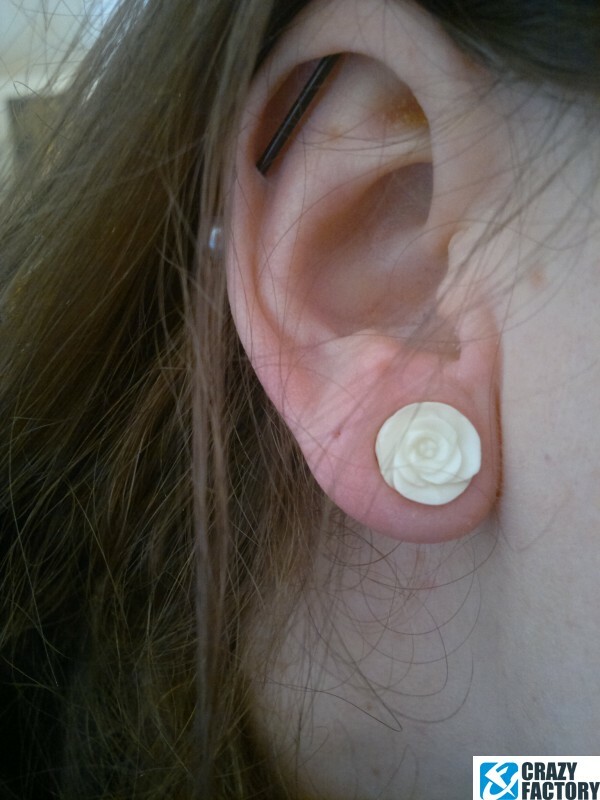 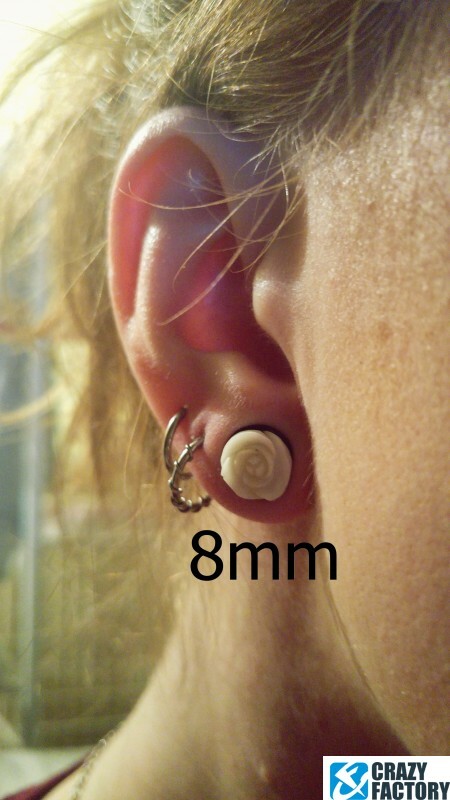 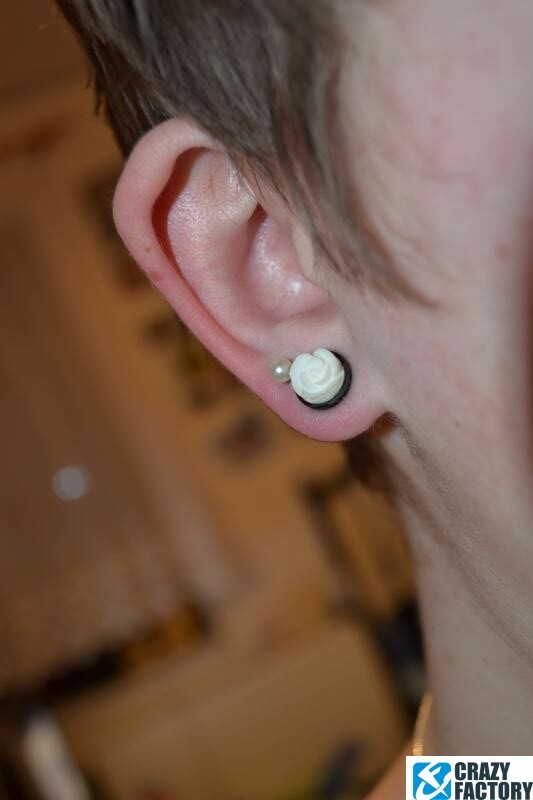 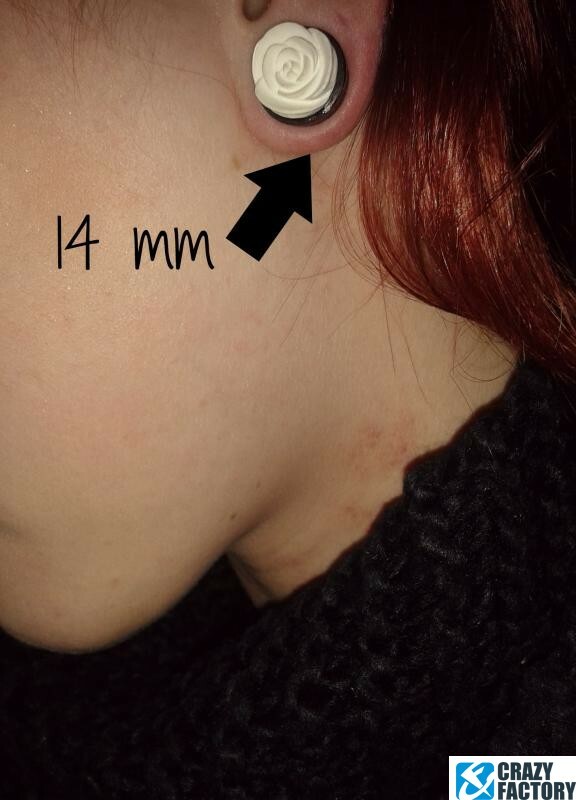 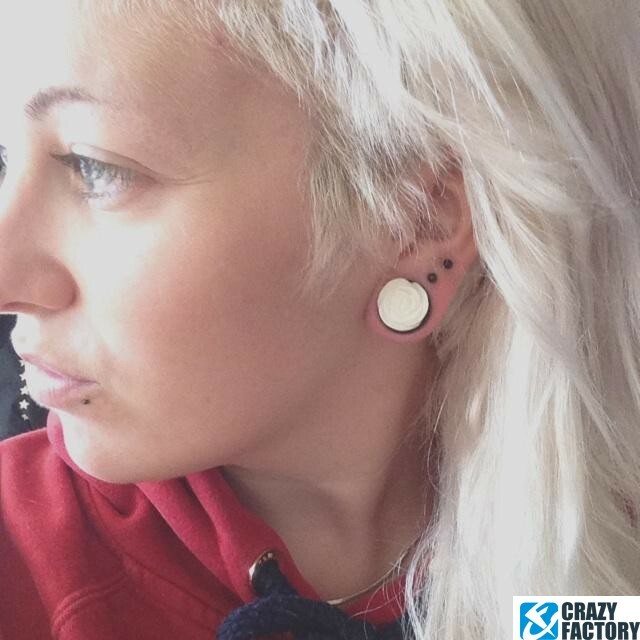 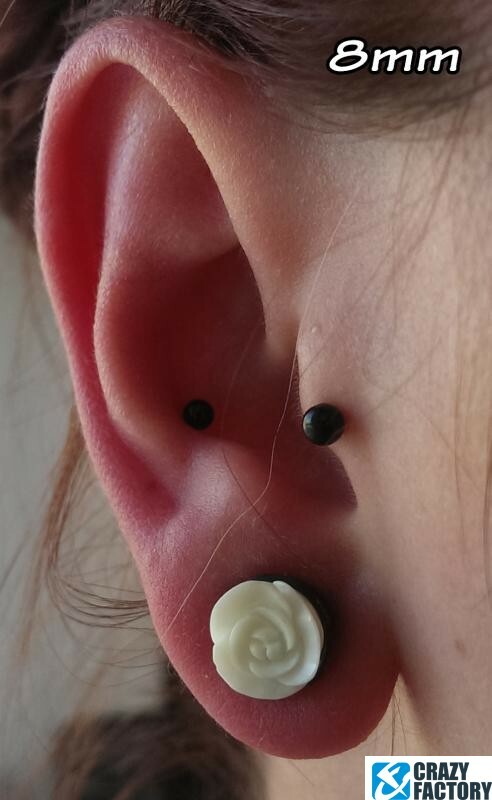 Beautiful plug with a carved white rose. 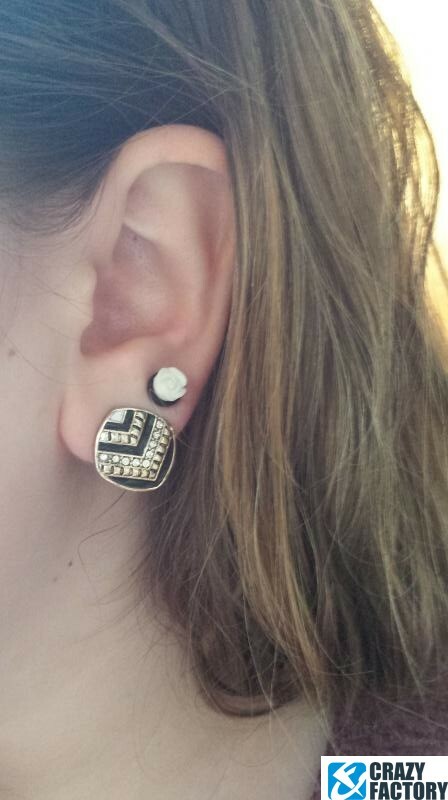 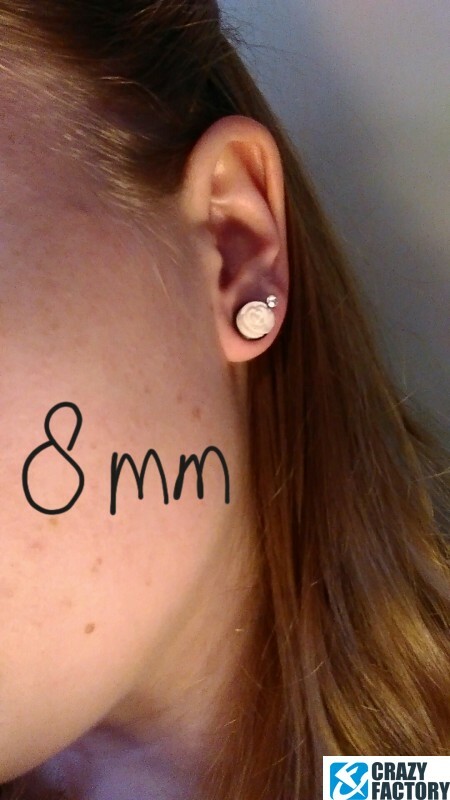 A must-have if you love a classy, understated look. 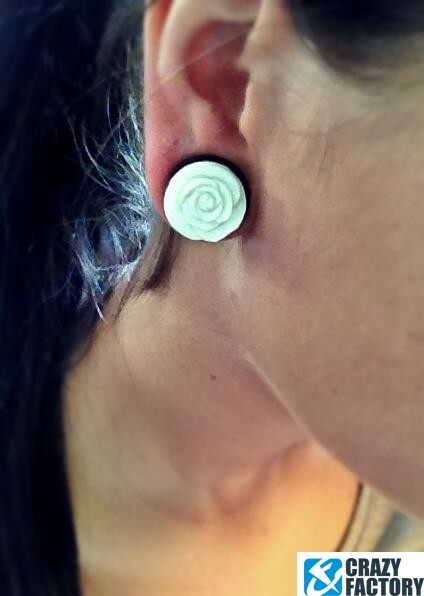 Slight variations in color, shape and size may occur as this product is handcrafted from a natural horn.